Beach Eats! – Eat, Drink, and Go! I’m sure there will be more to come during my beach vacation eating adventures, which means almost all seafood, but for starters, here are two nights of my ocean-to-table goodies!! On the first menu, super fresh seared tuna, fried NC shrimp, and fried zucchini! 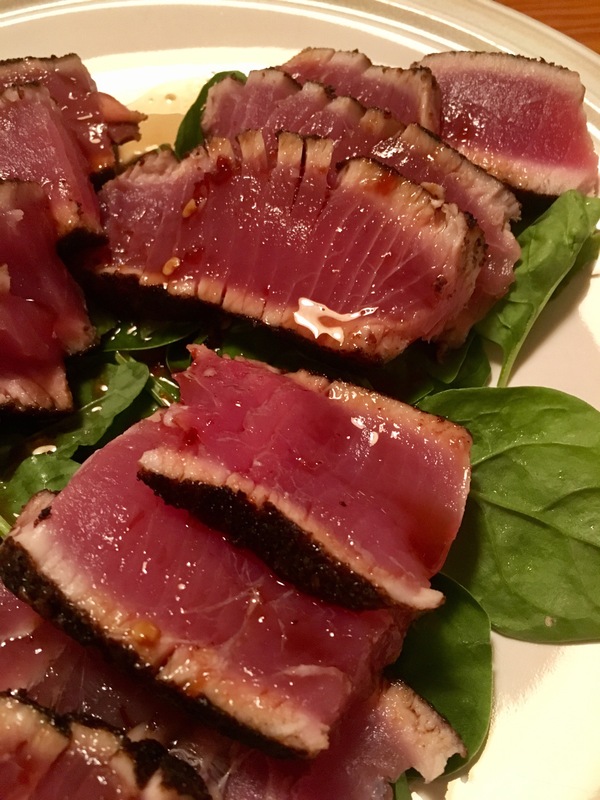 I crusted the tuna (caught merely hours before I got it from the little fish market, St. Waves Seafood and Steaks) with Char Crust. 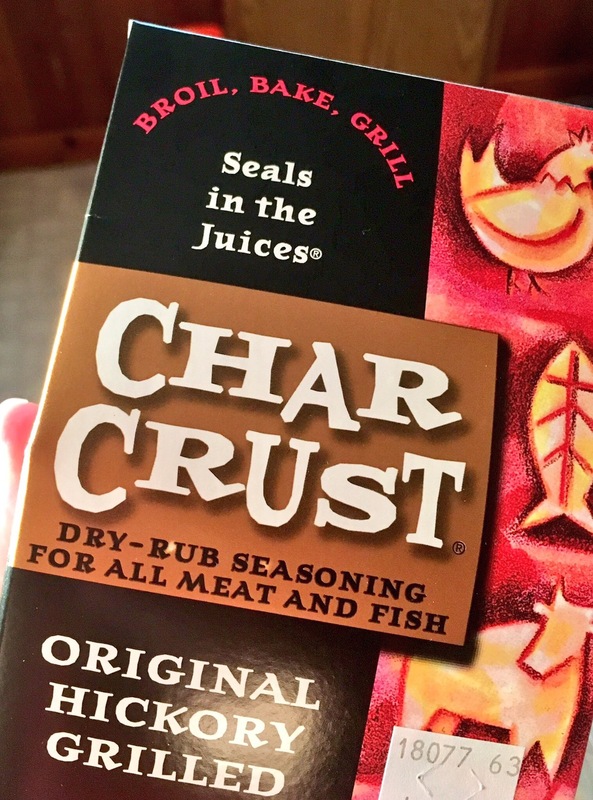 This is a great simple char seasoning rub that’s not too salty or too peppery, it’s just right. 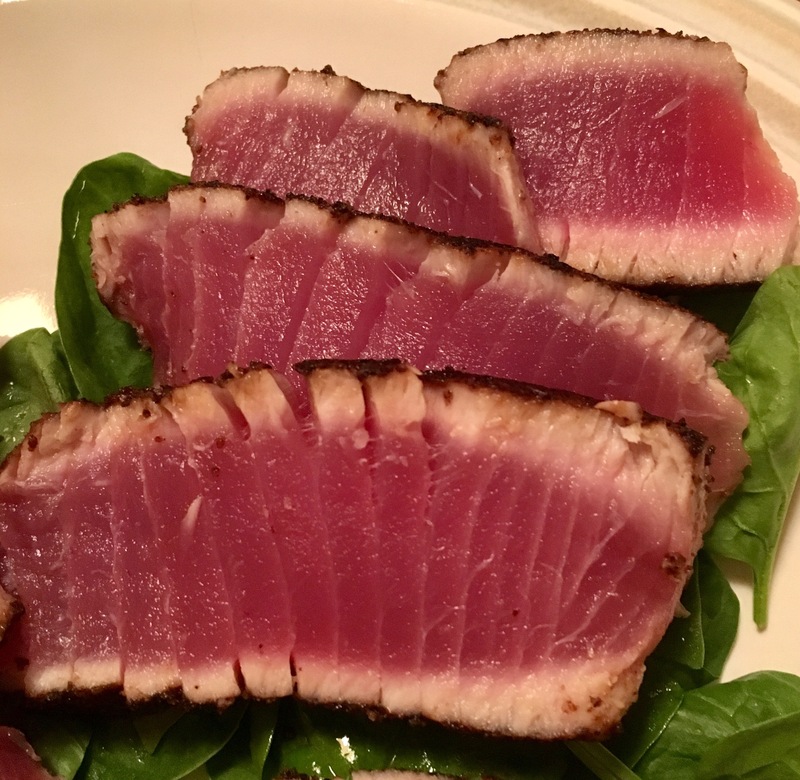 Seared the tuna in a hot pan on both sides and then sliced for a nice presentation. I drizzled on a little mix of honey, chili garlic paste, and soy sauce just for a little extra flavor and to make it glisten. 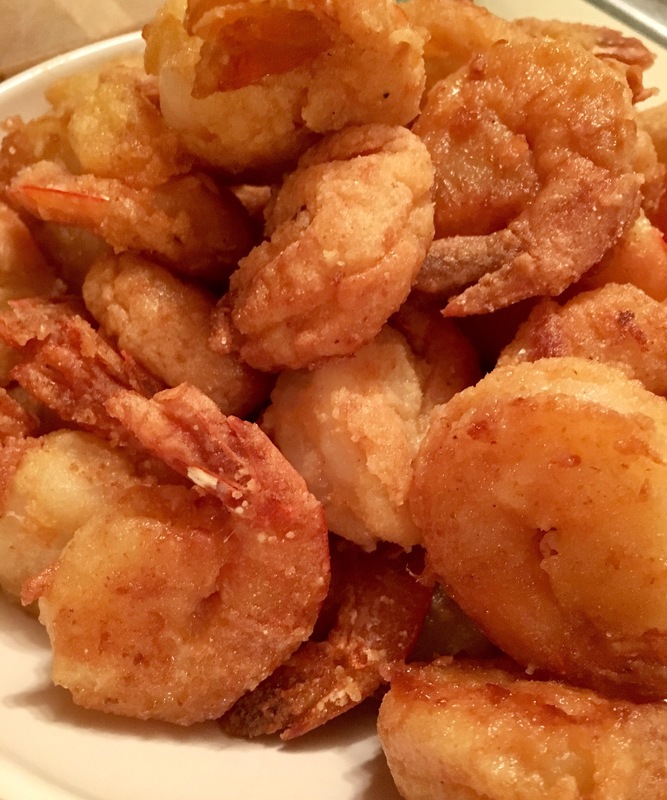 The fried shrimp are one of my beach meal specialties. I use a simple breading that’s light and not too seasoned, basically whatever we’ve got around the beach house kitchen and mate a few spices added in, and toss the shrimp into a baggy of it after a bath in egg whites. Shake em around in the bag til they’re all covered, then plop gently into fry oil (I do a shallow pan fry of vegetable oil). 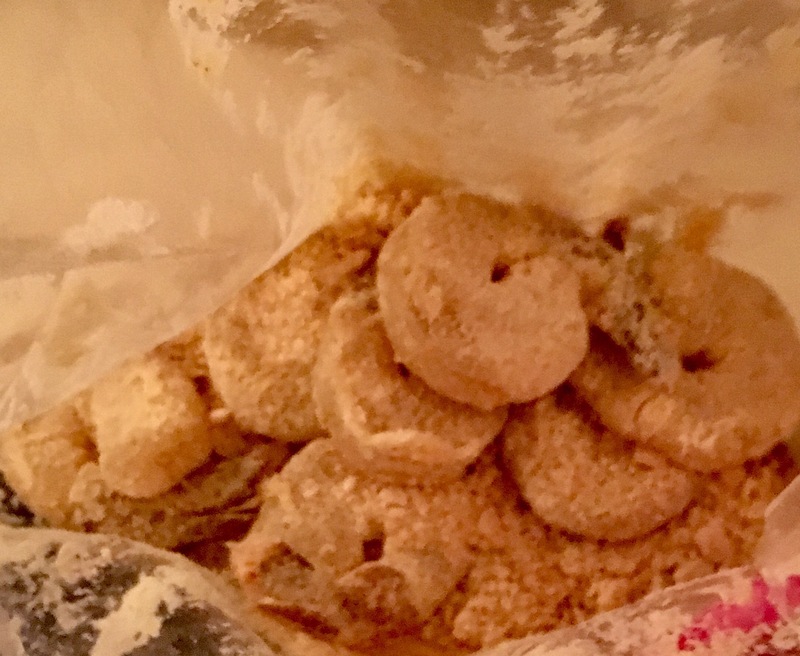 Cook til the batter gets crisped and then keep warm in the oven while you finish the batches. Voila! 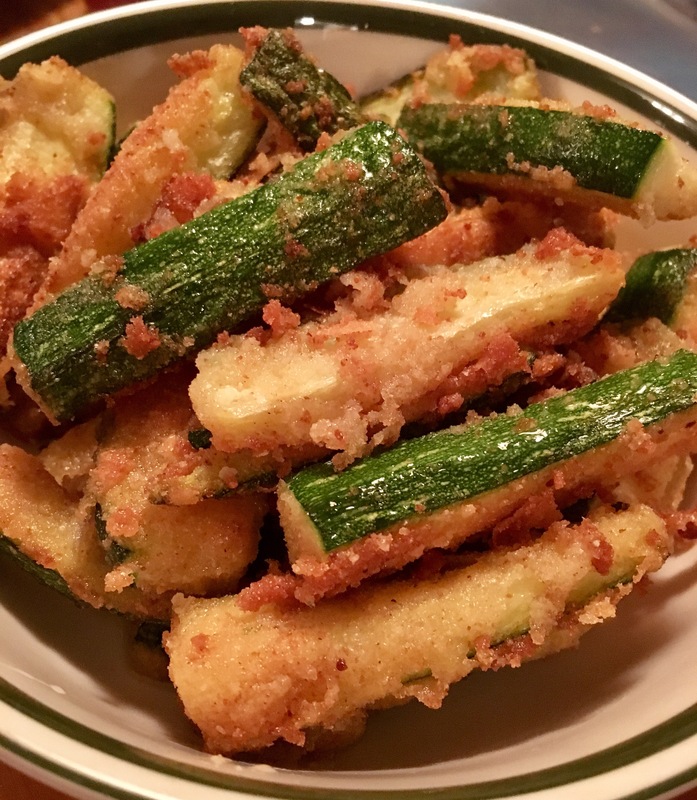 I had some zucchini so I breaded that lightly and fried it up too!! 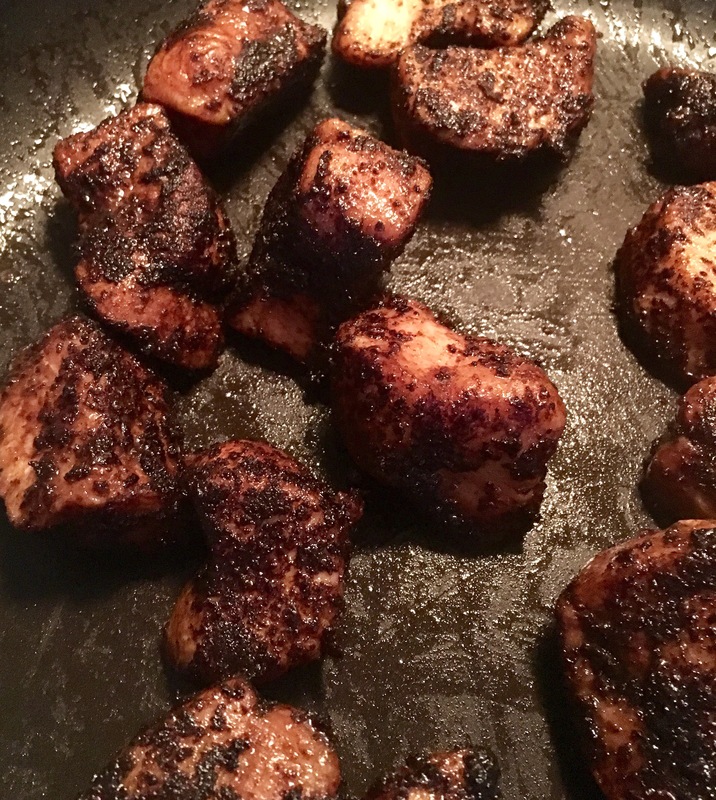 It was a late dinner night, so I didn’t fry up everything and the kitchen sink like I usually do when I get started in fry mode. It was delicious!! The seared tuna and the fried shrimp and zucchini made for a splendid night of beach eats!! 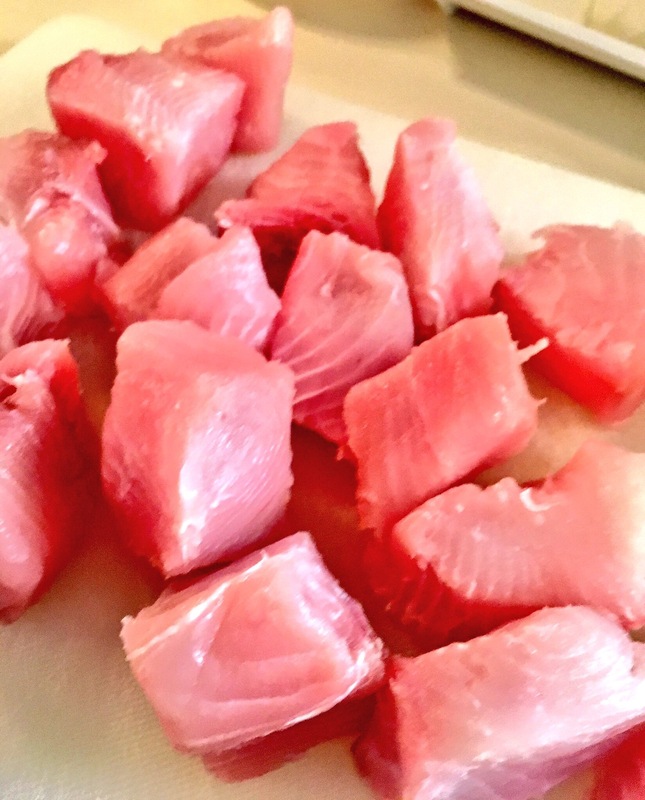 Next beach eats menu was a little more adventurous – scallops and… da-da-da-da… SHARK!! 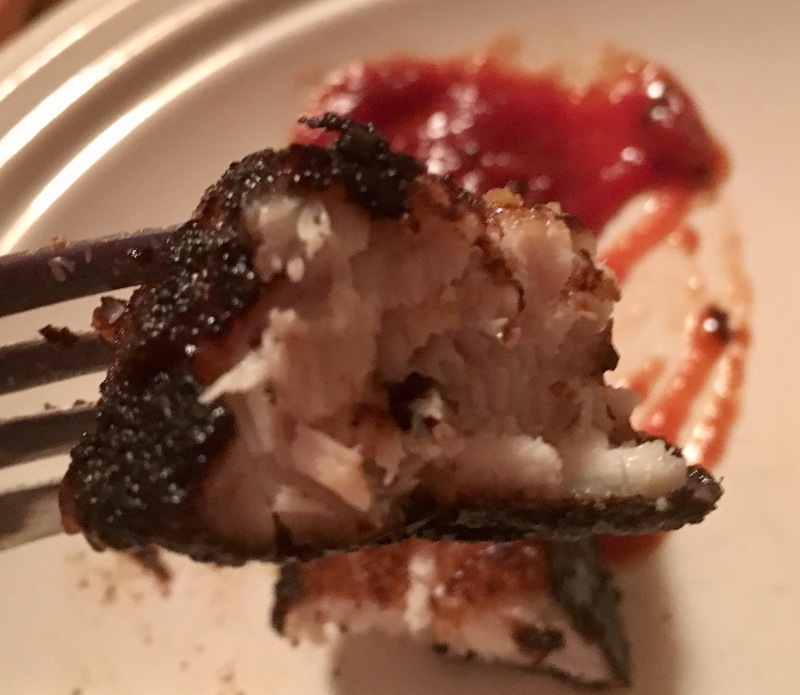 Yes, I sank my teeth into some Mako shark from Austin’s Seafood in Nags Head, NC (great spot in OBX for fresh seafood and good prices). 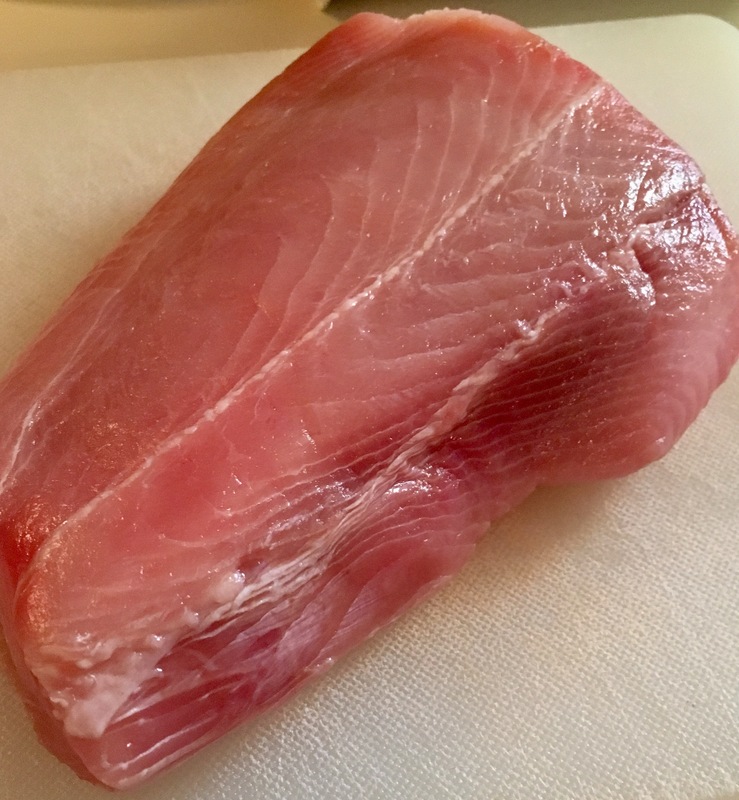 A nice hefty filet of shark. 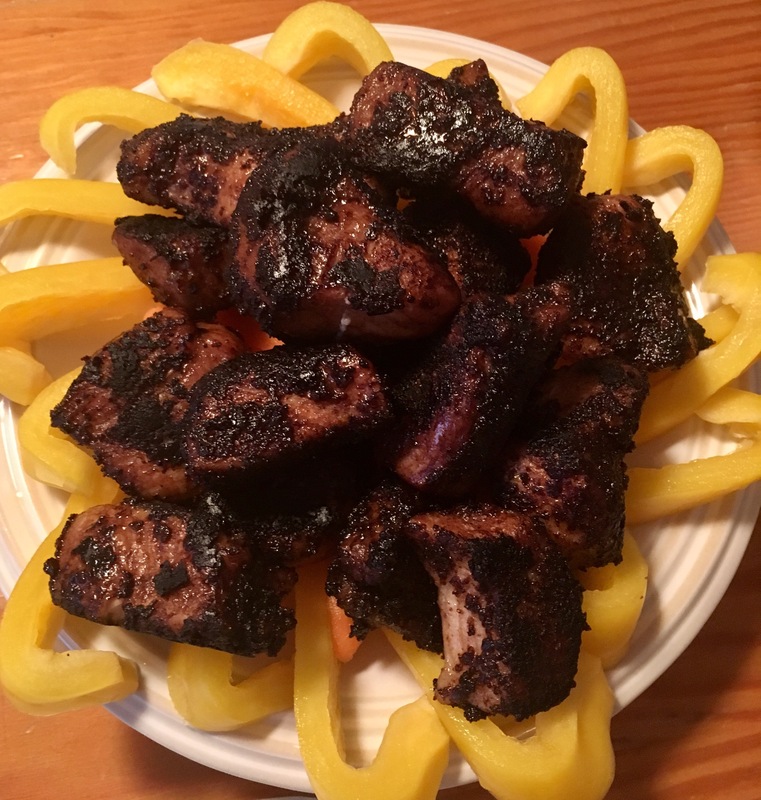 I decided to make shark bites – big chunks of it tossed in that great Char Crust. I was nervous when cutting it up because it felt really tough on the knife. 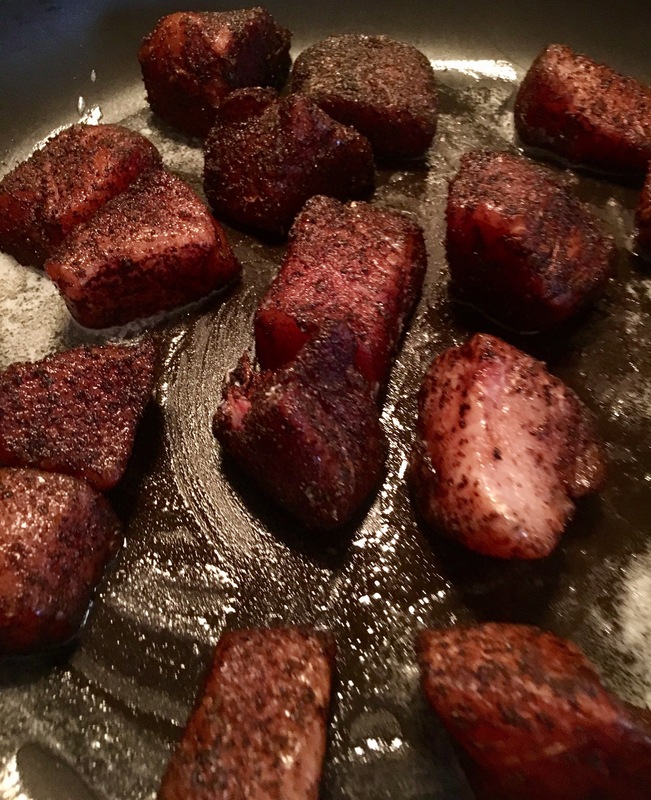 But I continued my game plan to make shark bites, and tossed it around in the Char Crust in a baggy. Next I seared it in a pan with butter til it seemed done. Still worried about the toughness from when I was chunking it up. Got a good lookin sear on all sides and it was white throughout. I plated it over some yellow peppers. It was Ahhhhmazing! Not the least bit tough like I was worried about! Totally tender and very chicken-like but a little of that sea flavor. Dipped in a little cocktail sauce. Omg, soooo good. Big hit at the table!! 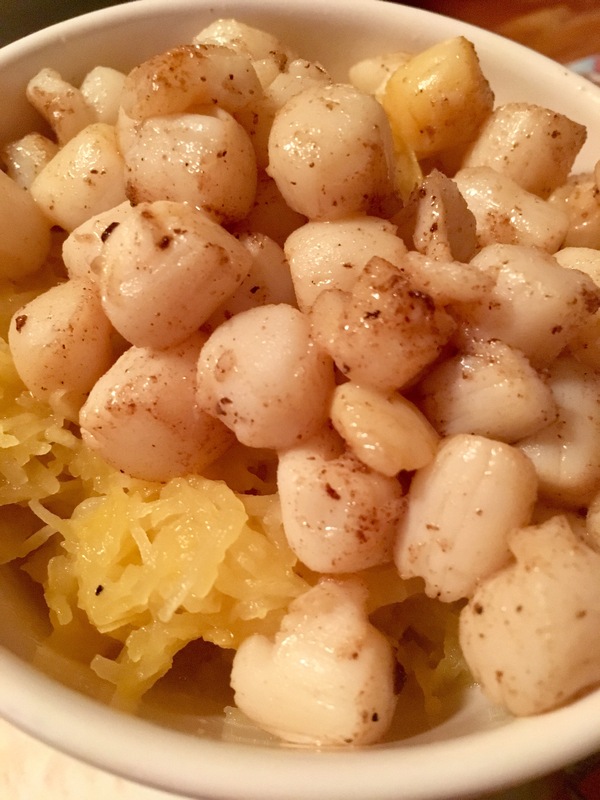 Also tasty was the bay scallops over spaghetti squash dish I tossed together! Kind of random, but it played well. 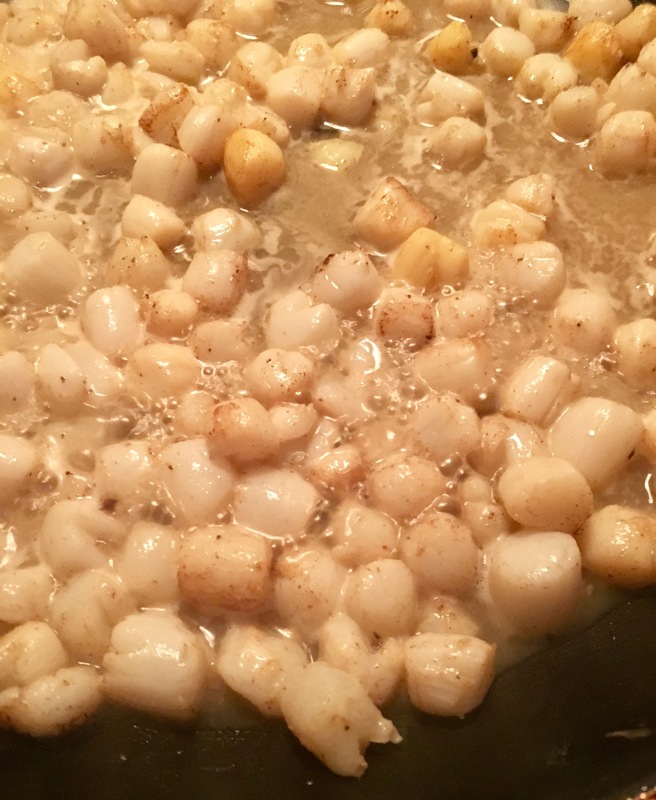 I sautéed the bay scallops in a generous bubble of butter and lemon juice, with a little maple syrup for sweetness. Tossed more butter, lemon, some Truffle salt and pepper into the spaghetti squash and topped it with the scallops and all the yummy pan sauce. This came out really nice. And buttery!! Mmmm… butter. Two great nights of beach eats!! Aaahhhh, Seafood. How I love thee.